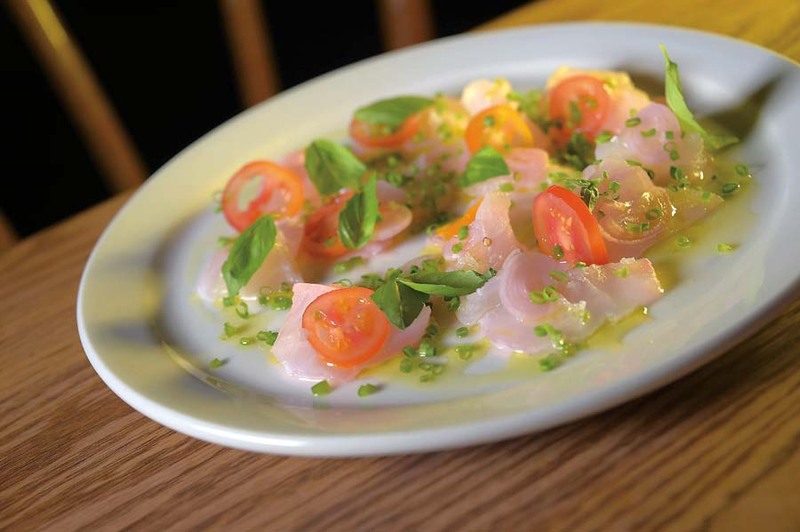 This Little Italy mainstay, which practiced farm-to-table long before it became a trend, continues to impress. 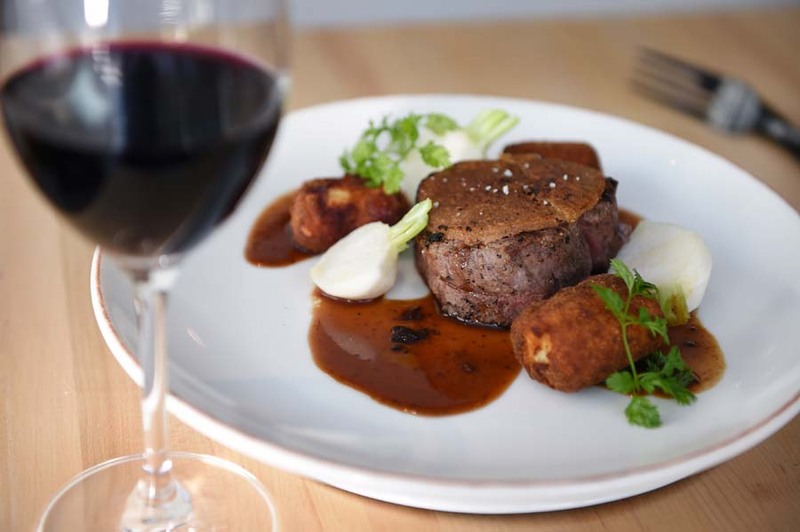 In addition to the signature tournedos Rossini — filet mignon with seared foie gras and a truffle wild mushroom sauce — the menu is particularly rich in veal dishes. 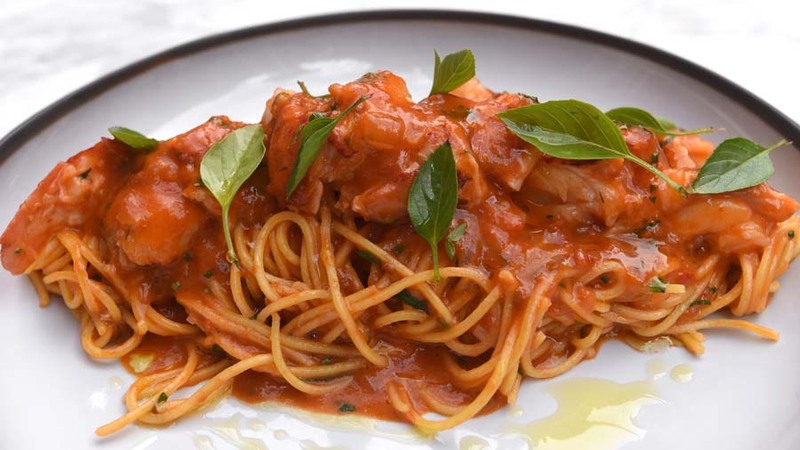 And, of course, there are plenty of tempting pastas. This stunning newcomer achieves classiness without attitude (even if there is a dress code). 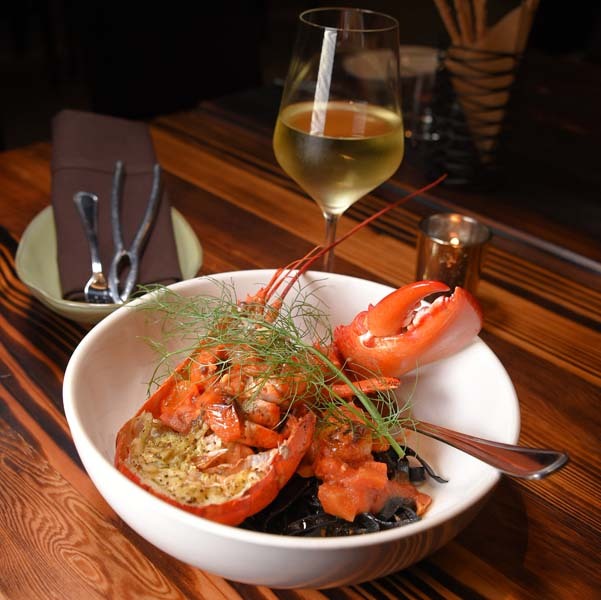 The kitchen demonstrates finesse with such yesteryear classics as lobster Newburg and turns out exquisite desserts. 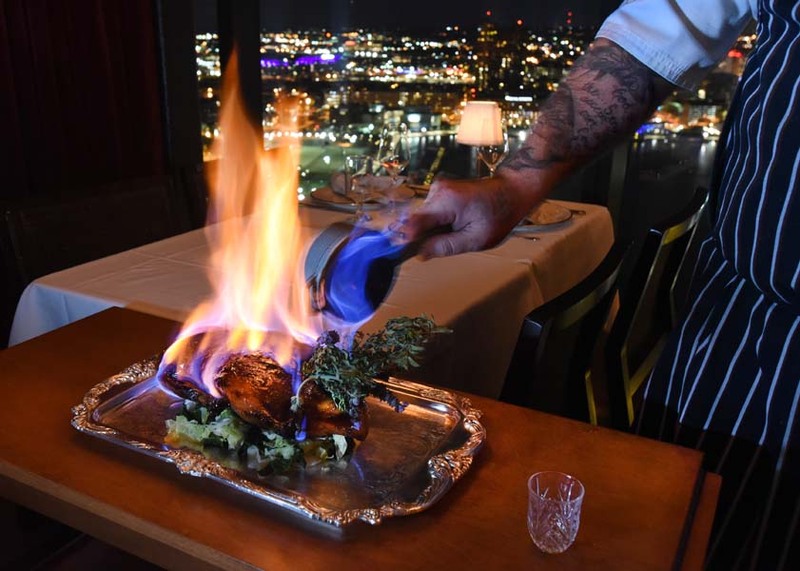 Everything is impeccably served in an elegant space that offers oh-my-God views of Baltimore from 29 floors above the Inner Harbor. 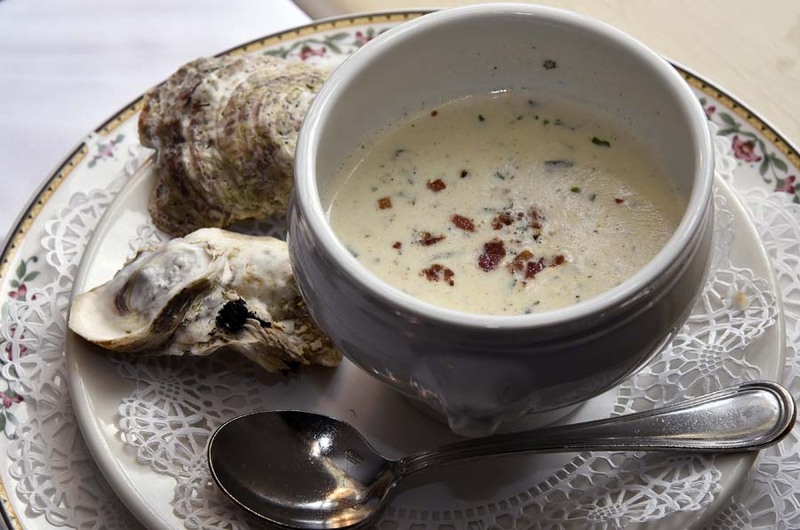 For more than 20 years, Charleston has enjoyed a reputation for superb food with an elegant South Carolina/French accent, served in a handsome space that makes you want to linger. 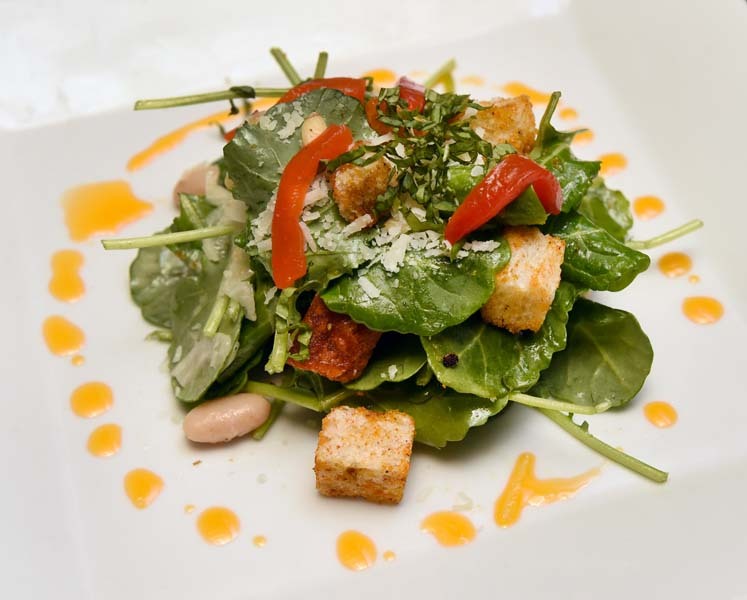 The prix-fixe system here allows you to sample three to six courses from a menu rich in culinary adventures. 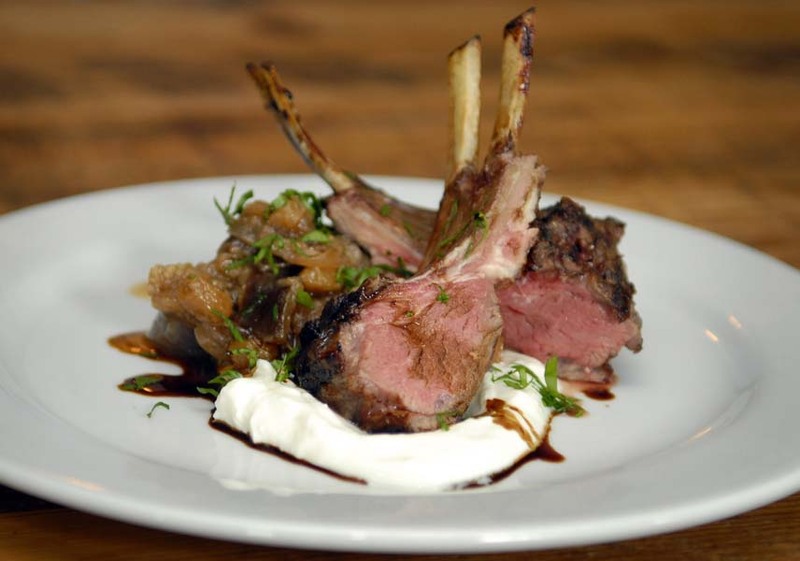 Nestled alongside the Jones Falls in a restored mill where the exposed brick and stone add to the warm environment, Cosima serves up a wide range of Southern Italian delights. 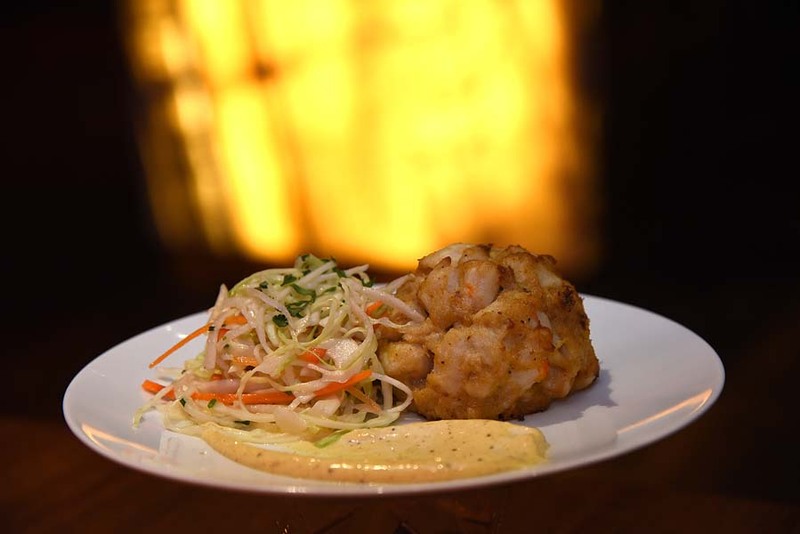 Small plates, including a terrific roasted cauliflower, are as enticing as the pastas, meats and sfinci, Sicilian doughnuts. A handsome, 278-year-old fieldstone building houses one of the region’s most appealing destinations for fine dining. 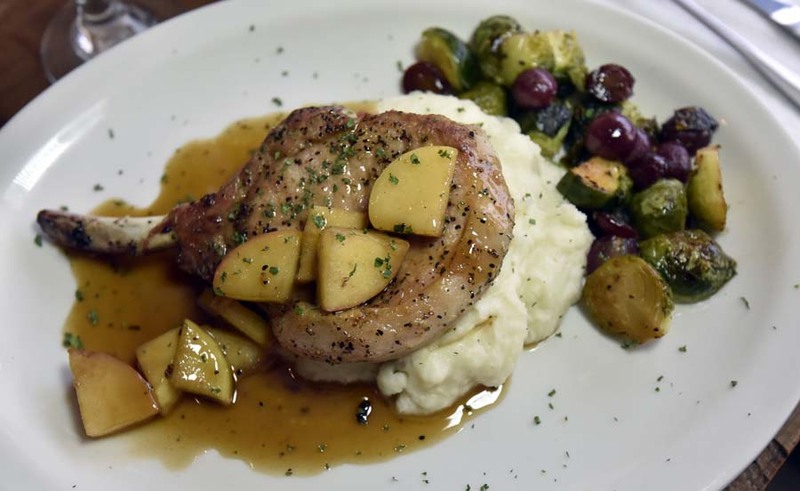 Recently refurbished to mark its 70th anniversary, the Milton Inn dishes up a hearty assortment of predominantly contemporary American fare with flair, including a fennel pollen roasted pork tenderloin and wild mushroom phyllo. The up-market Sagamore Pendry Baltimore hotel on the Fells Point waterfront has a gorgeously appointed restaurant to match. 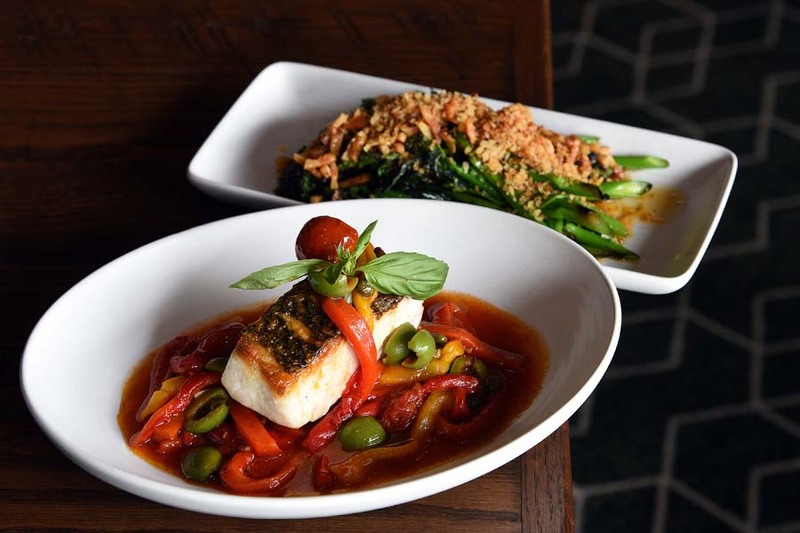 This Italian chophouse features stellar dry-aged beef, seafood (including a flavor-rich Maryland rockfish cacciatore), subtle pastas and excellent wines to go with them. A gelato-based Neapolitan sundae makes quite the meal-capper. This pretty Venezuelan restaurant is a boon to the Southeast Baltimore dining scene. 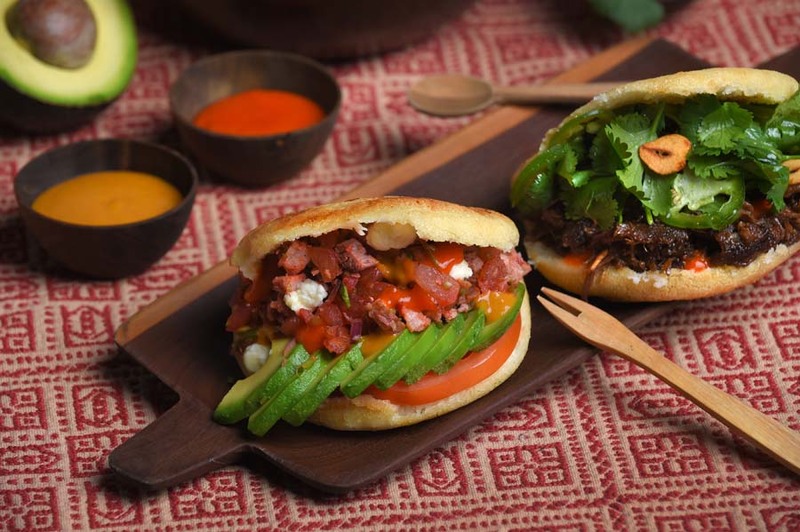 It’s worth a visit if only for the arepas, made of white corn dough that is grilled, baked and filled with your choice from a seemingly boundless list of ingredients. 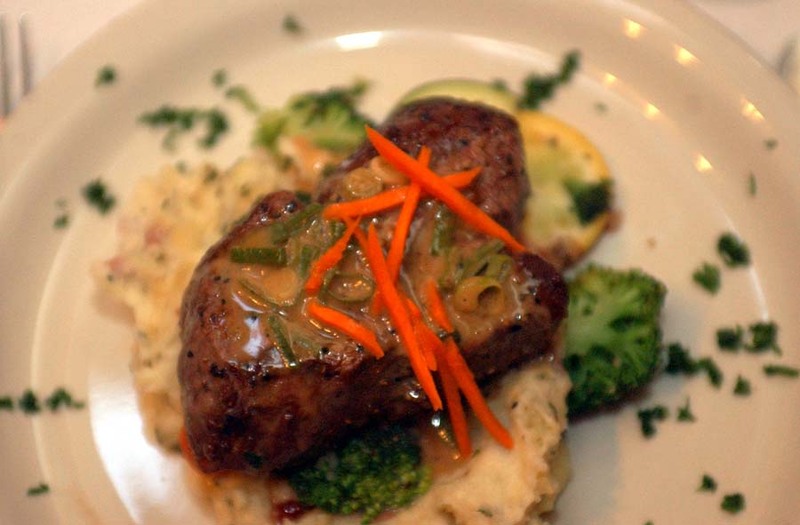 The menu is rich in flavorful entrees, too. Going strong in Fells Point for two decades, the Black Olive showcases seafood and traditional Greek cooking. You can choose a fish from the display case, including the Mediterranean dorade royale, and have it filleted tableside. 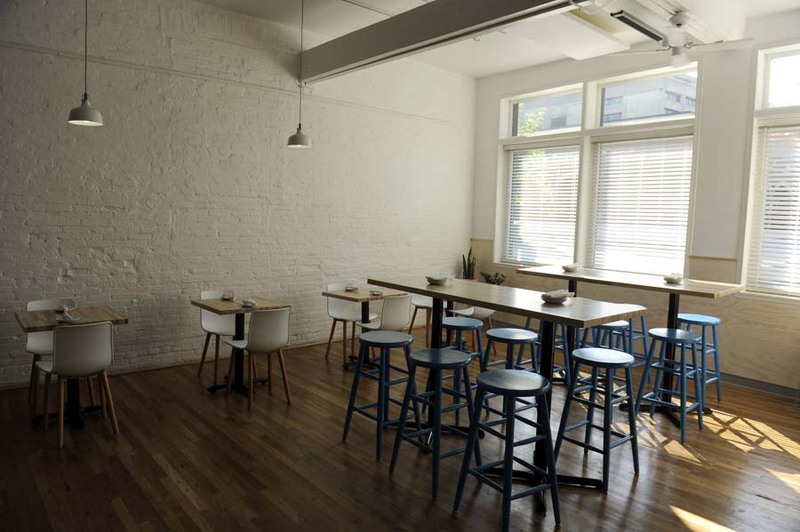 Other beautifully prepared items from sea and land complete the inviting menu in this intimate space. 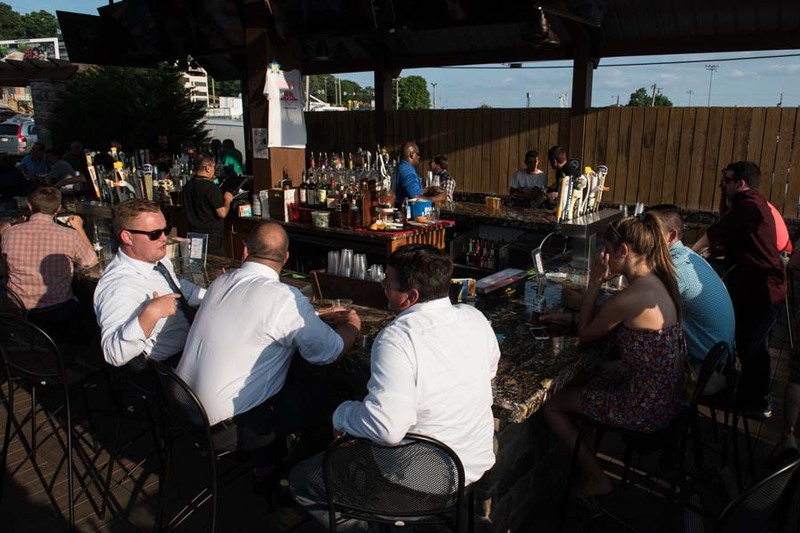 The Towson restaurant scene gets quite a boost from Cunningham’s, which exudes personality in the design — don’t miss the chic, glass-enclosed bar — and in the menu. That menu includes imaginative wood oven pizzas and hearty beef, pork, poultry and seafood entrees like a swordfish with charred tomatoes and ricotta. For Old World elegance, it’s hard to beat the look of the Elephant, housed in an 1850s Mount Vernon townhouse. At its best, the kitchen provides imaginatively constructed and presented fare, such as short ribs subtly tinged with garam masala, and a spinach pasta enhanced by wild board ragu and broccoli rabe. 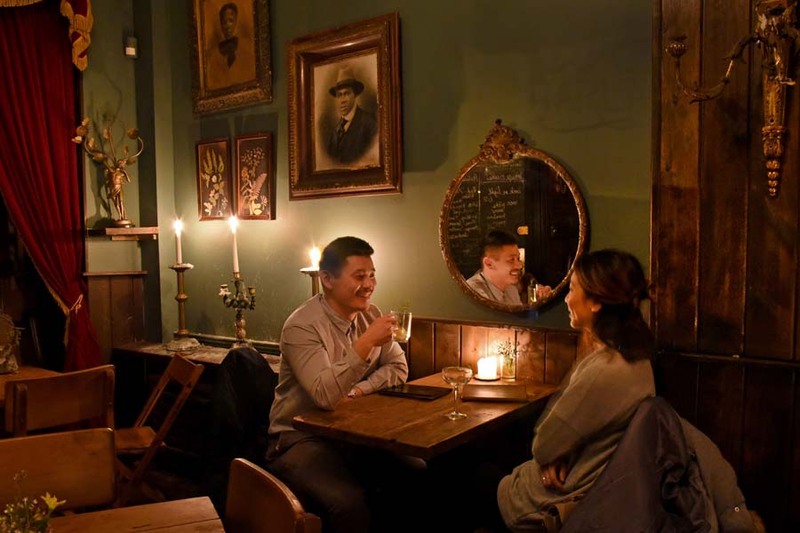 With only about two dozen seats, this is one of the coziest spots around. 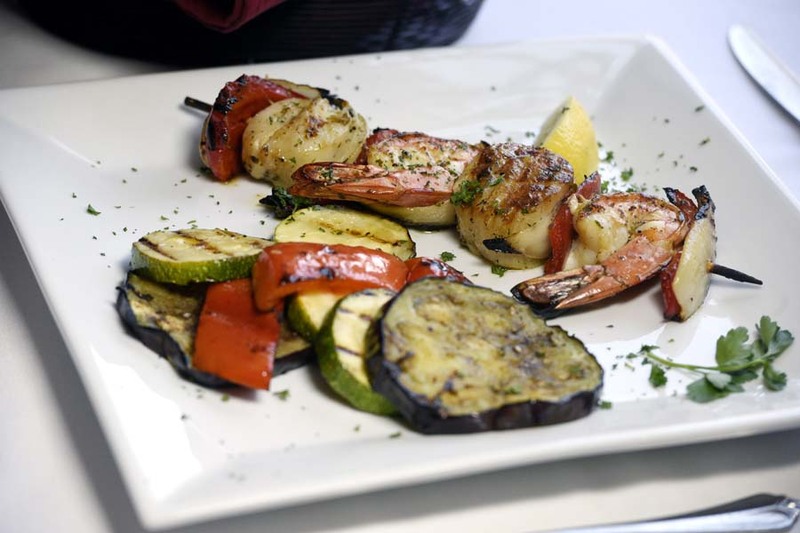 The menu, inflected with Mediterranean influences, is equally compact (it’s common to find only two entrees on the list), but full of enticements. 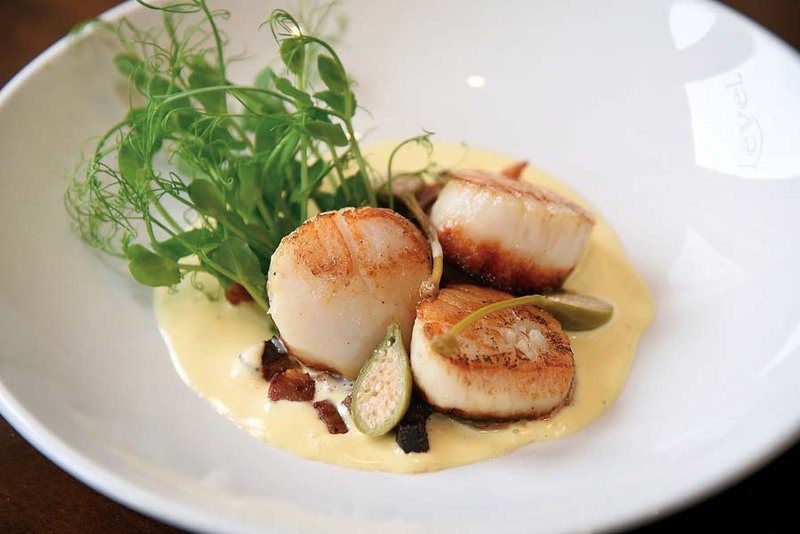 Recent examples include pan-seared scallops with stewed chickpeas, and pasta with duck confit and currants. 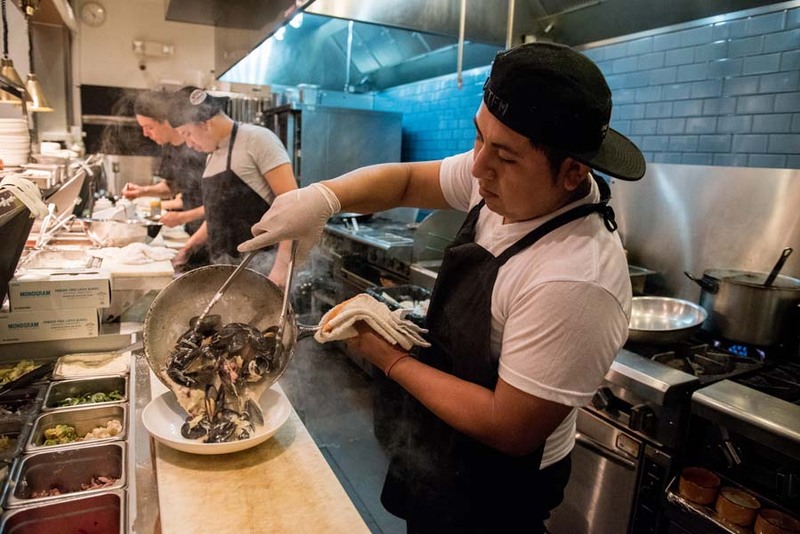 In a chic space, Minnow dives into seafood and creates imaginative dishes, among them moules frites and a freshened version of Baltimore coddies in orange beurre blanc with sauteed spinach and pea shoots. Filleted rainbow trout and merluza are among the fish choices; there’s room, too, for a first-rate steak. 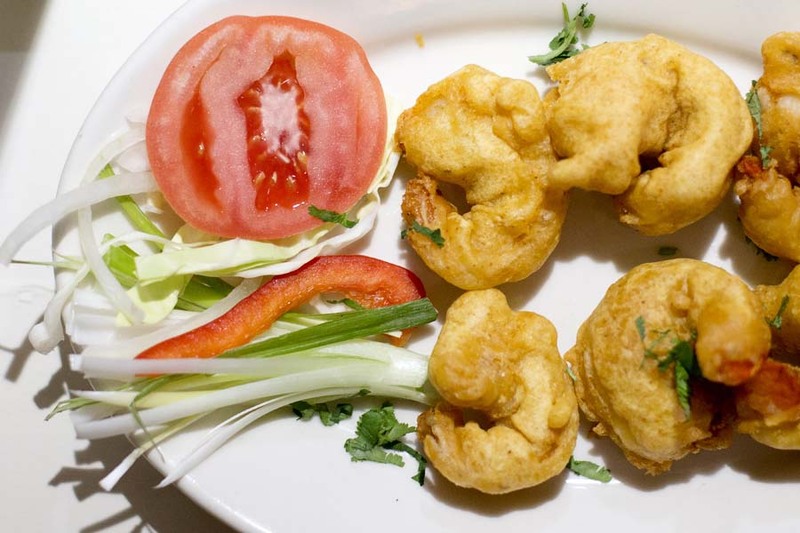 A nondescript chain restaurant was transformed into the Royal Taj, a stately space where a wealth of Indian dishes can be savored, served by a well-honed staff. 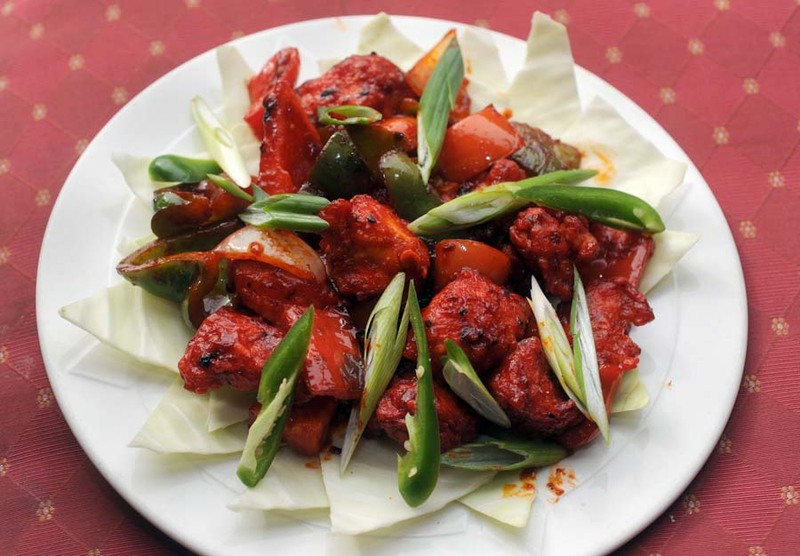 Standouts include tandoori lamb chops cooked in a charcoal clay oven and the chicken tikka masala. 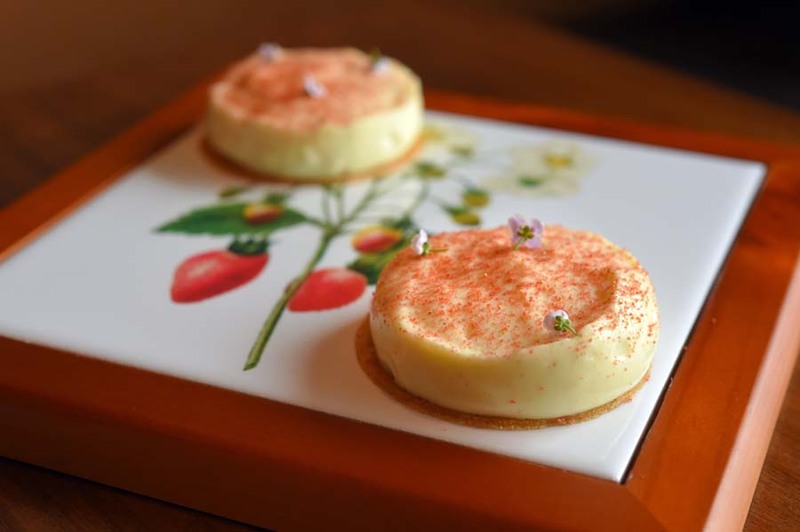 Desserts offer refined taste sensations, too. 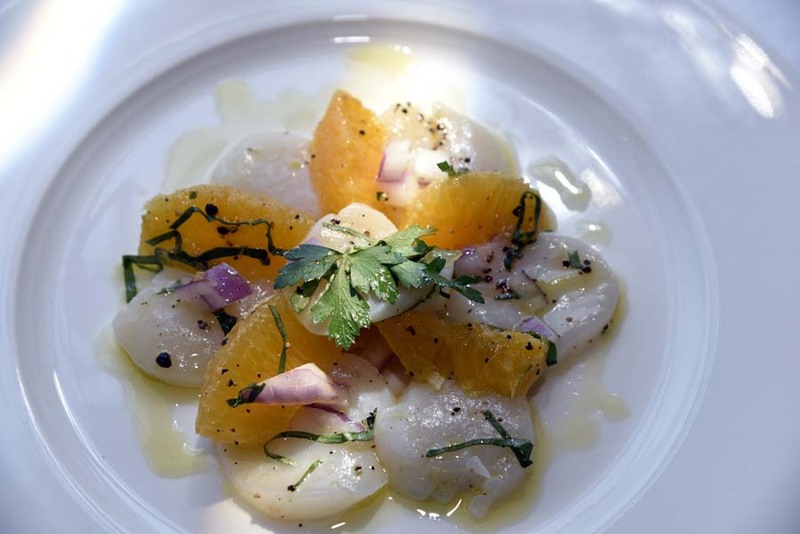 Exuding a mix of chic and charm, upscale and relaxed, Sotto Sopra has been a draw since 1996. No wonder. There are few misses from a kitchen and lots of hits. 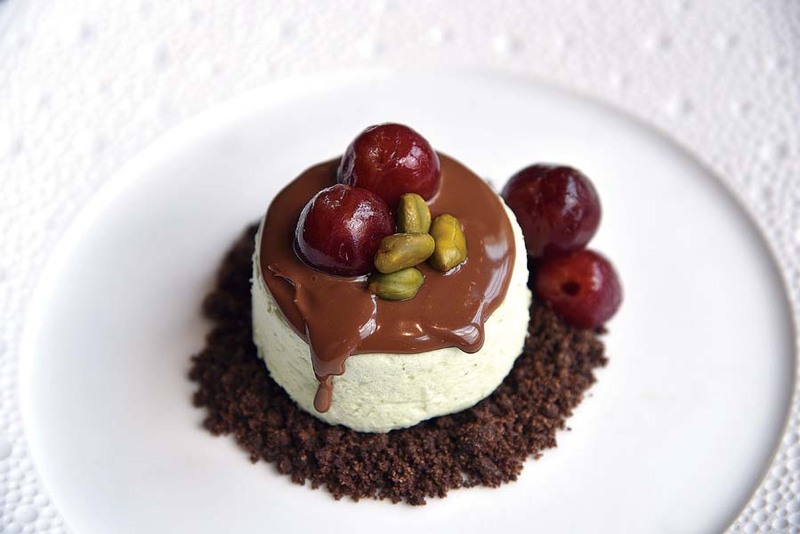 Standouts include house-made pastas with stellar sauces, expertly prepared fish dishes and such dessert gems as an almond-y semolina cake. 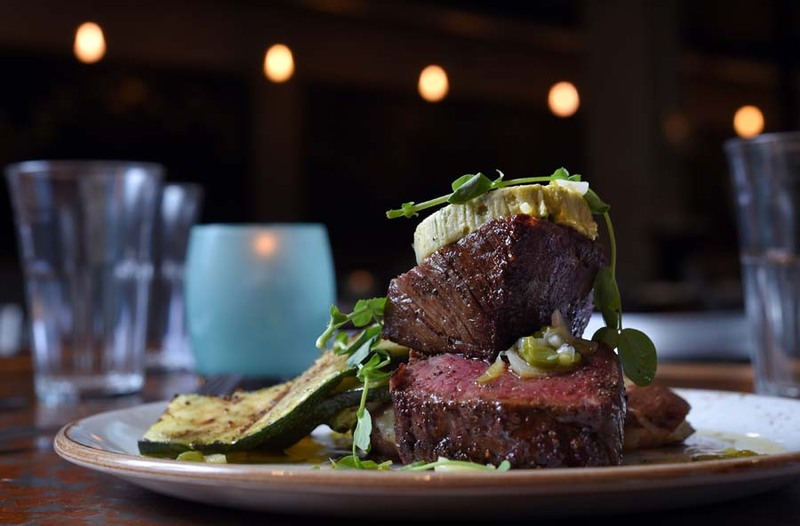 This Italian chophouse with Tuscan accents is a class act, providing finely crafted food to match the inviting environment. 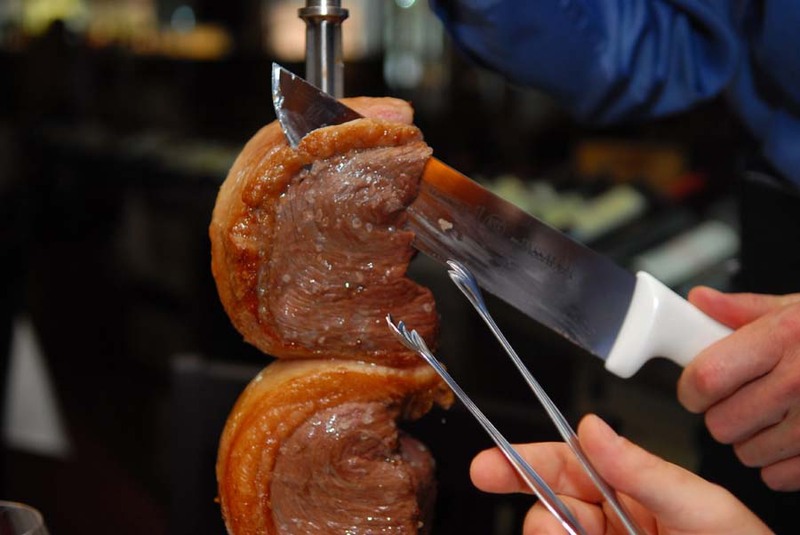 Sizable beef, pork and veal entrees offer terrific tenderness and flavor. 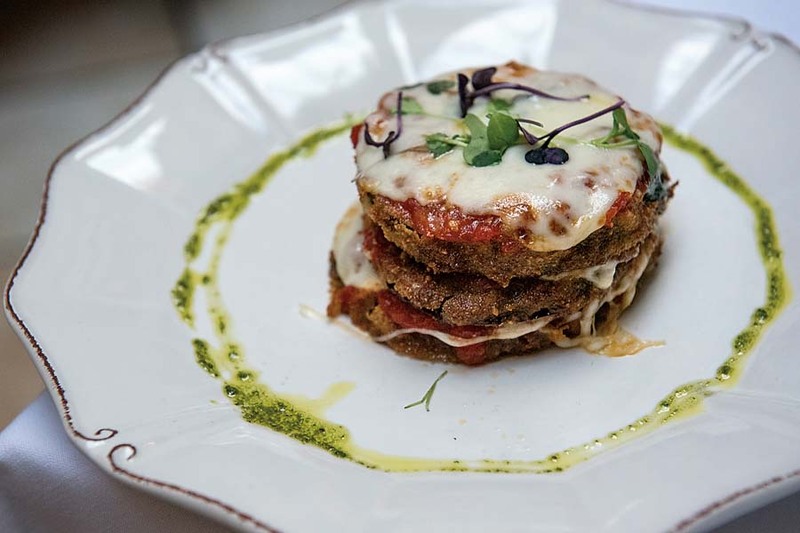 An imaginative duck glazed with lavender and honey impresses, too, along with such traditional pasta dishes as eggplant parmigiana. 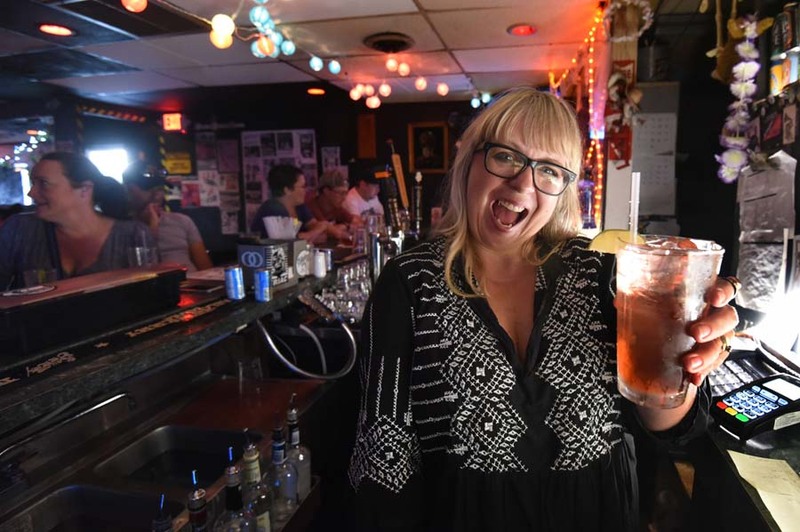 In a city that has lost many beloved restaurants over the years, there’s comfort in knowing that another of them has held strong for nearly half a century. 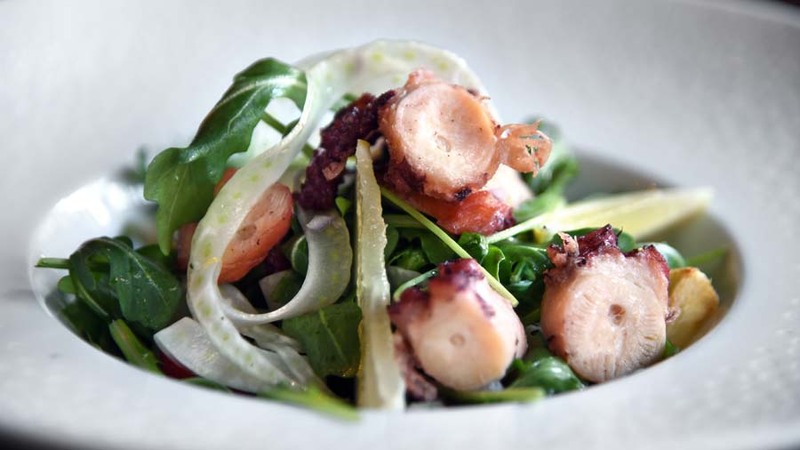 Tio Pepe continues to prepare a Spanish menu featuring stylish seafood, along with beef, pork and poultry, in an atmospheric setting. 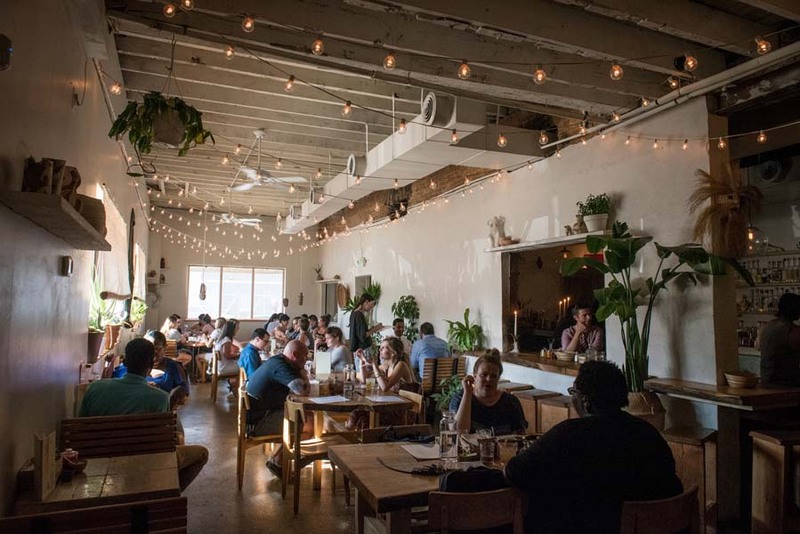 After a decade in a reclaimed flour mill, Woodberry Kitchen remains a prime destination for its bustling scene and innovative fare. The menu, adjusted periodically, elevates comfort food with such items as seared cast-iron chicken with braised greens and a biscuit. 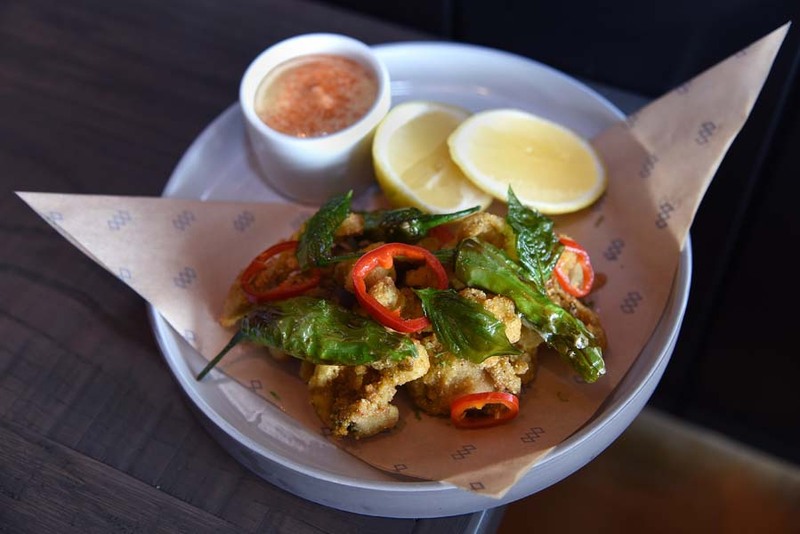 The restaurant’s approach to seafood and beef likewise shines. Closing in on three decades of serving terrific Afghan dishes, Helmand remains a perennial dining attraction, especially considering the modest prices. The aushuk — subtle pasta dumplings — are alone worth the trip, but that’s just the beginning of adventures that include richly flavorful approaches to lamb, beef and seafood. This Mexican mezcaleria and taqueria provides enticing cocktails (mezcal-related and beyond), along with a vibrant list of taco options, including one filled with slow-cooked pork, bitter oranges and achiote peppers. Other small plates fill out the menu. No reservations, but you’ll have plenty of company while waiting for a seat. 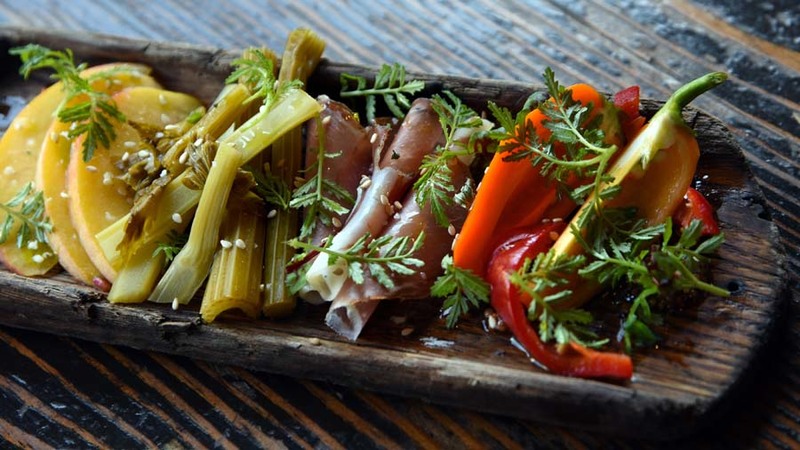 The tapas-style Level is geared toward sharing. There are lots of dishes with roots in the Mediterranean and Maryland. From a tangy pork spring roll, it’s an easy progression to such heartier plates as a bone marrow biscuit with rabbit gravy or pan-seared scallops with caper berries and local pea shoots. 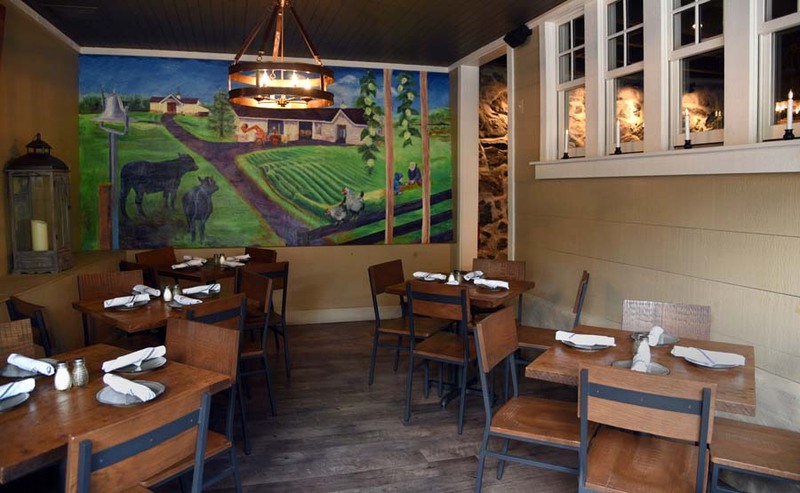 From the family that created Victoria Gastro Pub in Columbia comes the boisterous, eclectic Manor Hill Tavern in Ellicott City, where you will find a dish called Maryland State Fair — Old Bay funnel cake dipped in crab fondue — and adventurous pizzas. Burgers and such winning entrees as lemon-herb-marinated chicken provide delights as well. 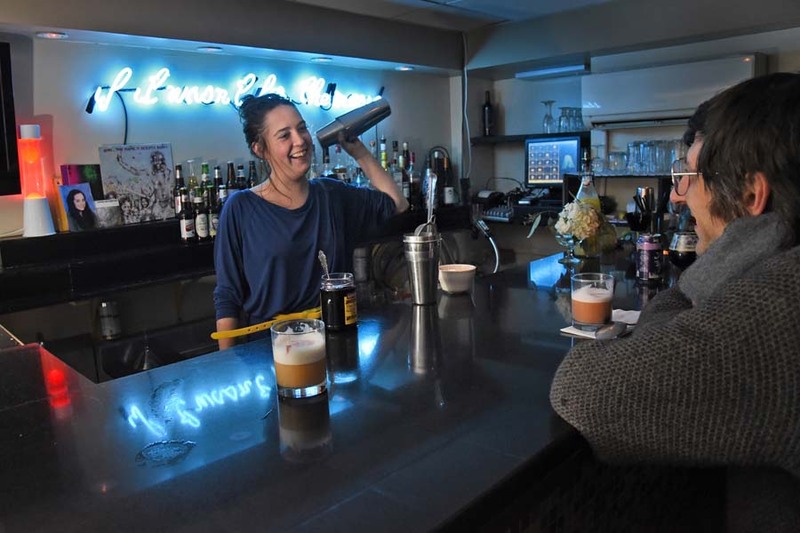 The Hampden hot spot by Chef Chad Gauss has all the elements for the perfect brunch: the sweet, the savory and boozy drinks. Choose from dishes like apple butter or li’l Heathbar pancakes, and french toast dippers prepared tempura-style with maple cream cheese fondue. The sweet potato and chorizo hash melds the sweet and savory, while creative drinks like the pancake shot (Bulleit bourbon, Buttershots and orange juice) keep customers coming back for more. 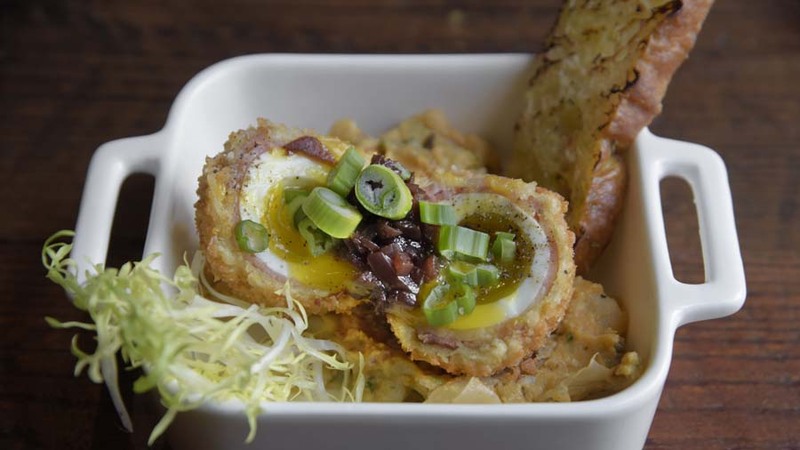 The new contemporary soul food spot has a large selection of scrumptious brunch options. 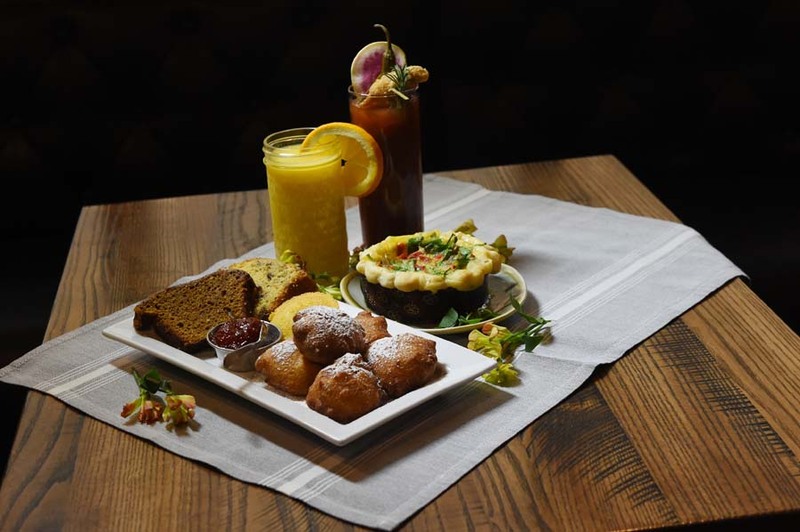 Start with the fresh biscuits and molasses butter, then try the chicken and waffles (the Nashville-style hot chicken is a favorite) or the dirty south frittata (blackened chicken breast, roasted red peppers, onions, kale, dirty rice and smoked Gouda).The savory cobblers are a must. 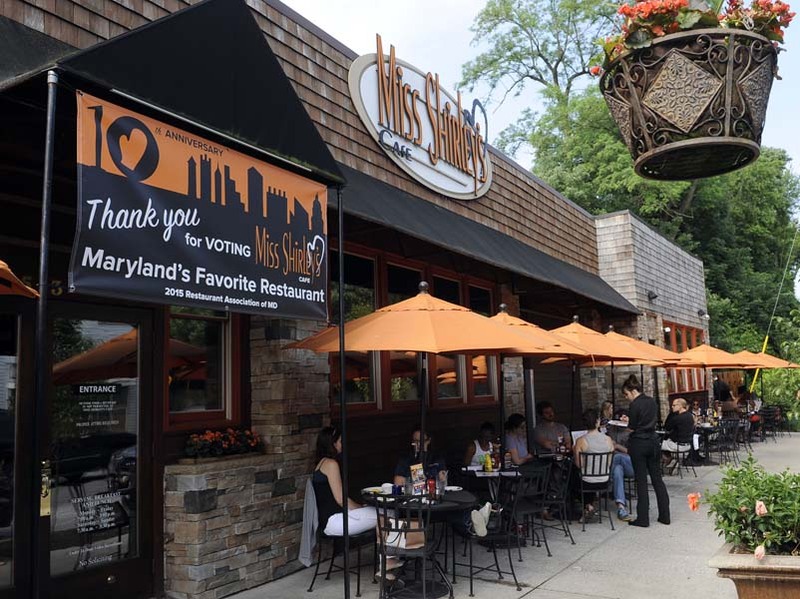 Southern-influenced cuisine with heavy doses of Maryland flare dominates this local chain, which consistently earns top honors for its breakfast fare. “Shirley's Affair With Oscar” — Angus filet with asparagus, jumbo lump crab meat and Hollandaise atop fried green tomatoes — has been featured in the Food Network magazine. And the Southern slammer sandwich (fried green tomato, Applewood-smoked bacon, mashed avocado, cheddar cheese and a fried egg on pumpernickel) was named best breakfast sandwich in America by Restaurant Hospitality magazine. Try one of the breakfast cocktails for a complete experience. 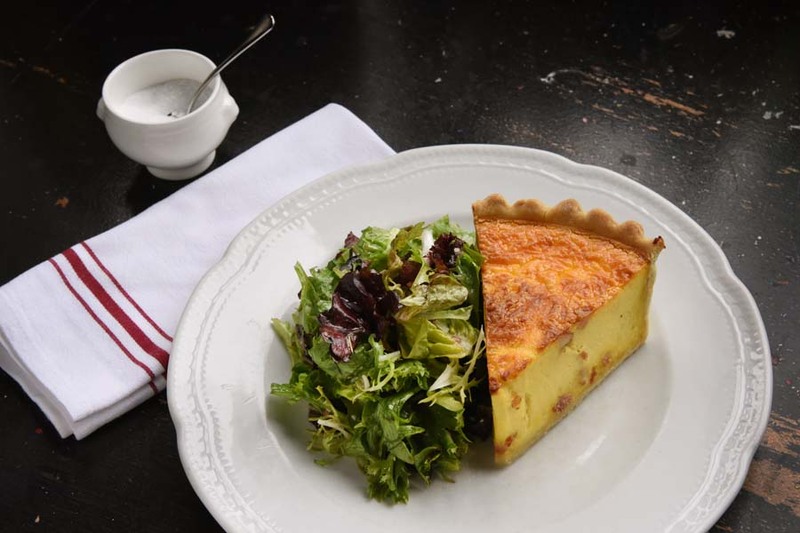 The French-themed restaurant is a go-to spot for any meal, and brunch is no exception. Go for the ambiance (you’ll feel that you have stepped into a Parisian bistro), superior service and authentic cuisine such as the pain perdu (brioche french toast and seasonal fruit); confit de canard (duck confit, Lyonnaise potatoes and house reduction) and œufs brouillés (scrambled eggs, Gruyere and ham). 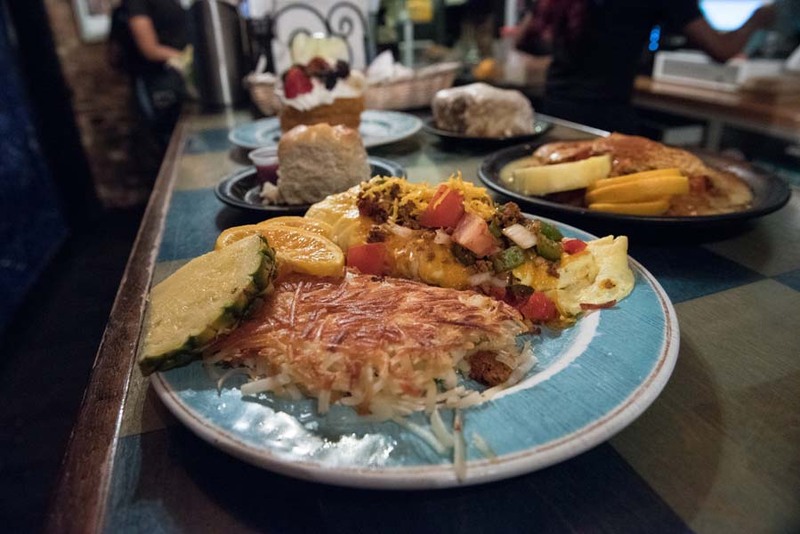 By The Docks features expected breakfast fare such as fresh fruit, salads, made-to-order omelets, carving stations, scrambled eggs, pancakes, French toast and meats. 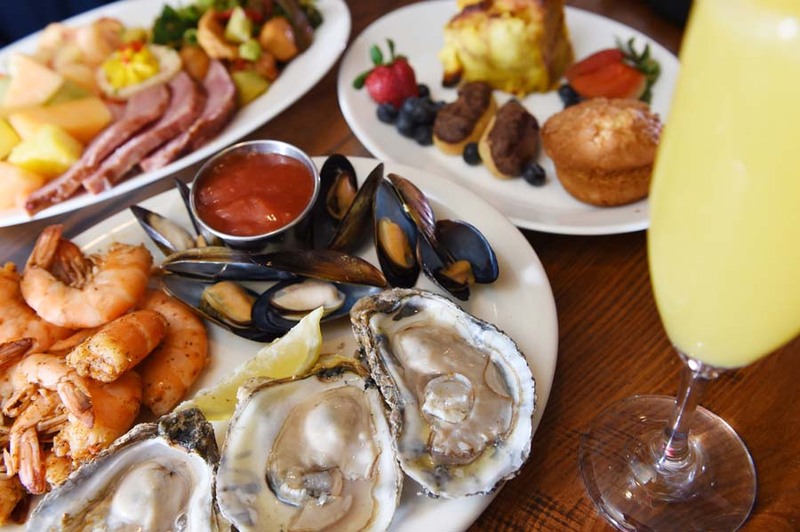 Where the seafood restaurant excels is its all-you-can-eat chilled peel-and-eat shrimp, oysters on the half shell and marinated mussels on the half shell. On Saturdays, mimosas, Bloody Marys and Natty Boh tallboys are $1 each. On Sundays, enjoy bottomless mimosas and bloody Marys for $10. For a $17.99 brunch, it’s an absolute steal. This is probably one of the hardest brunches to book, for good reason. Its all-you-can-eat and brought to your table approach for $35 is unusual in this area. Throw in 25-cent mimosas, and it’s no wonder large groups flock to the Harbor East Greek-themed restaurant. 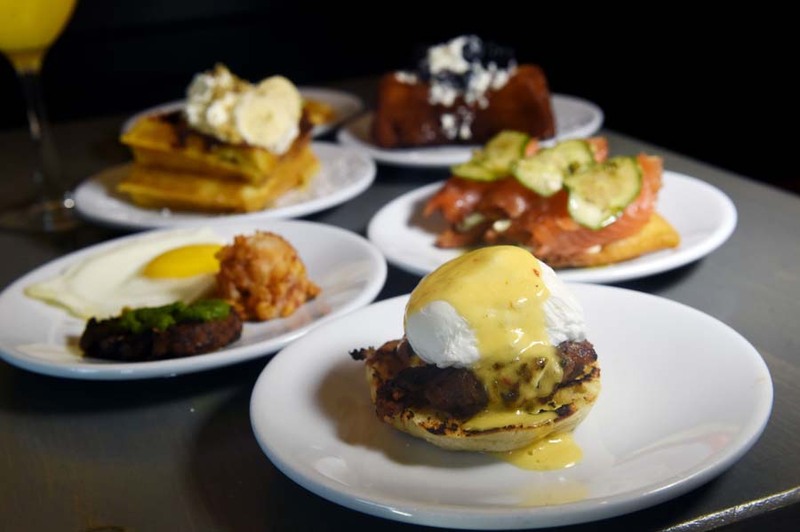 Don’t miss the spicy lamb benedict, the Cava home fries, pork belly and eggs, and french toast made with challah, honey, berries and cream. 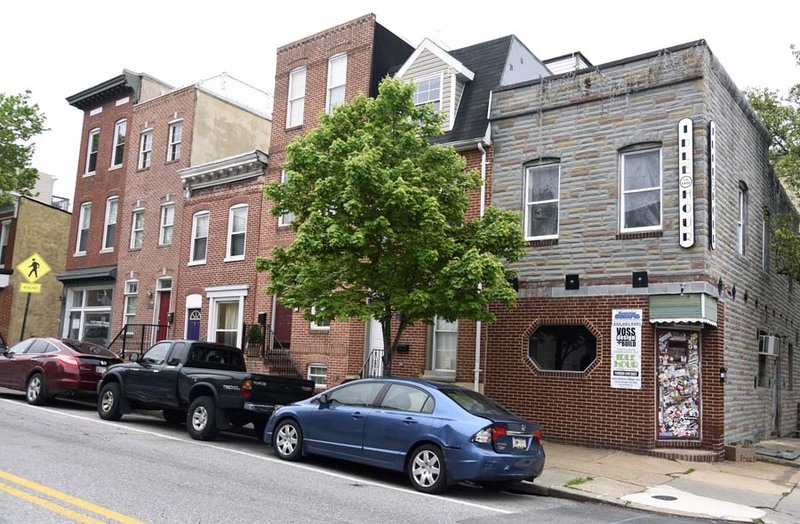 You really have to be a local to know about Hull Street Blues Cafe, just off the beaten path to Fort McHenry. The Sunday brunch buffet ($18.95) features specialty pancakes (from sweet potato to banana rum) and french toast (the Irish cream is a must) that’s served tableside. 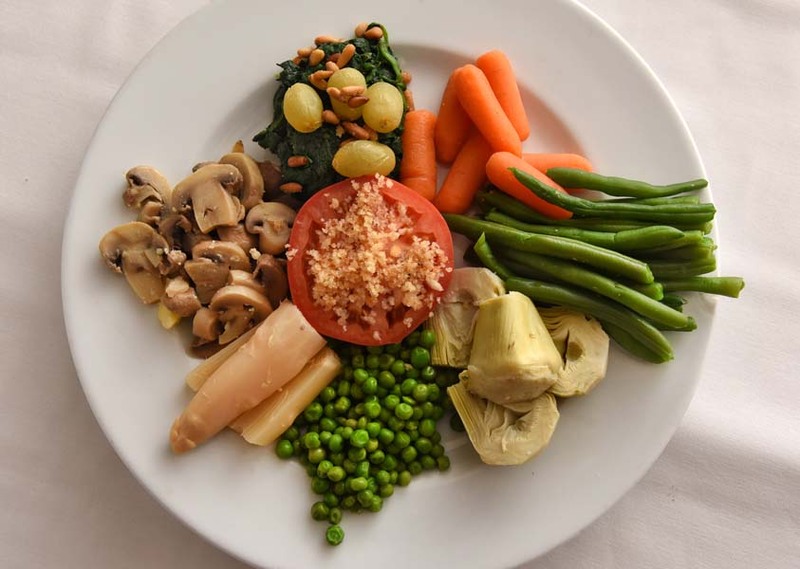 Also among the buffet options: house-made desserts, buttermilk biscuits with tomato gravy or cream chipped beef, grilled pork loin and prime rib. With rotating items such as oyster pot pie, you’ll always be surprised by the variety. Bottomless Bloody Marys and mimosas are $12 extra. 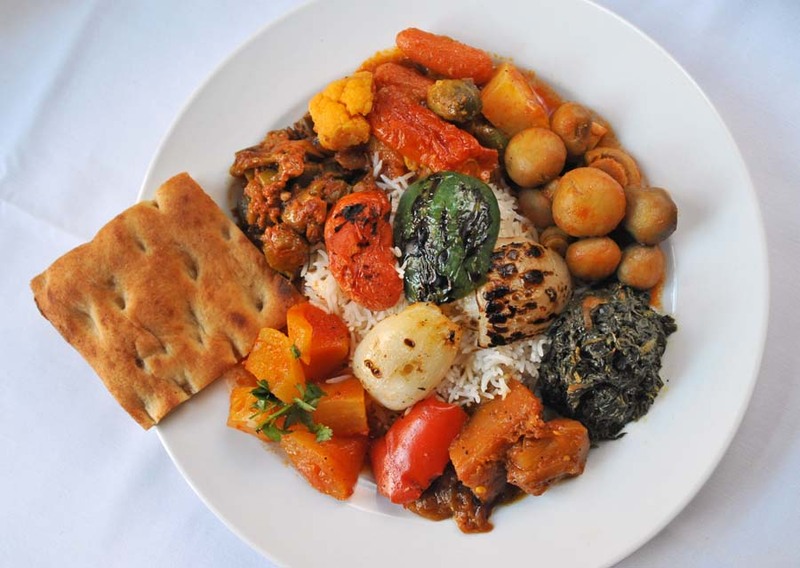 The Indian restaurant with locations in Federal Hill and Mount Vernon has a spectacular lunch buffet with all the favorites: samosas, chicken tikka masala, palak paneer and endless hot, buttery naan. With bottomless hot khai tea, kheer (rice pudding and cashews) and gulab jamun (pastry balls in a sugary syrup), this buffet ($10.55 on weekdays and $12.67 on the weekends) might be the best deal in the region. The Four Seasons Hotel Baltimore restaurant pulls out all the stops for its opulent $59 Sunday brunch. There’s the gelato cart; the crepe station; the grilled ribeye and salmon carving stations; bagel stations with smoked salmon, trout and sturgeon; Old Bay poached shrimp; and Chesapeake oysters on the half shell. 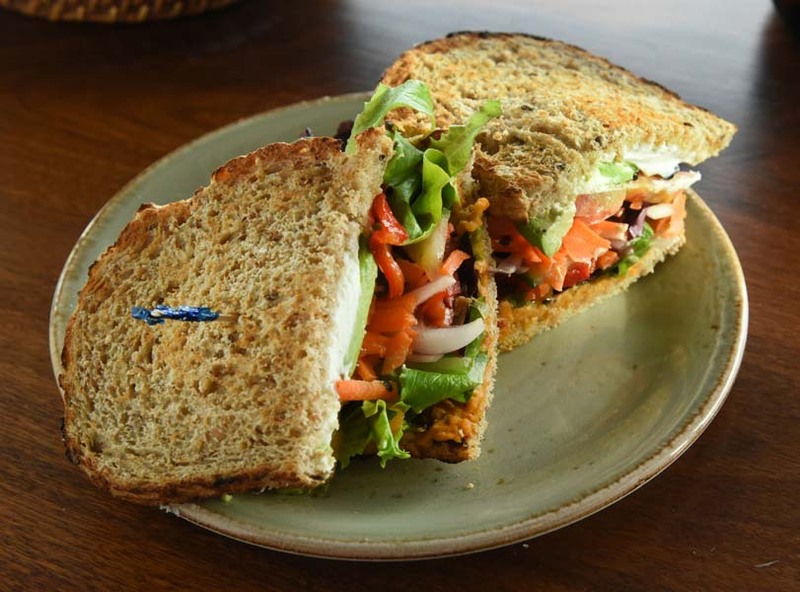 The specialty cheeses, made-to-order omelets and assorted pastries complete the spread. Need a break from the stress of sports during the commercials? 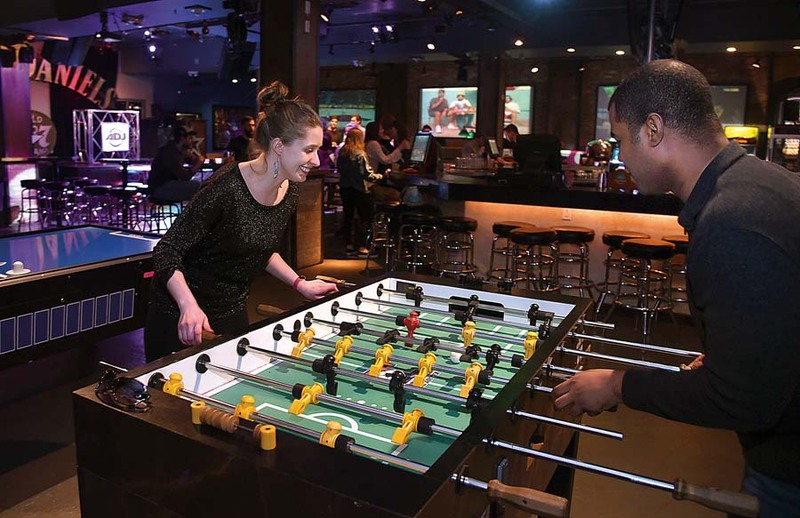 Watch at Game, a sprawling sports bar-meets-arcade with vintage video game consoles, pool tables, Skeeball, air hockey and more. 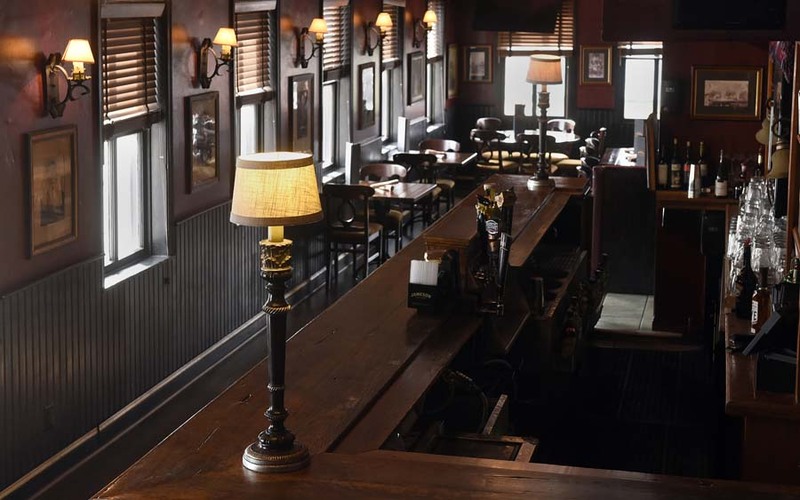 Located within walking distance of Camden Yards and M&T Bank Stadium, Game has plenty of seating (including leather couches) and TV options throughout the bar as well. 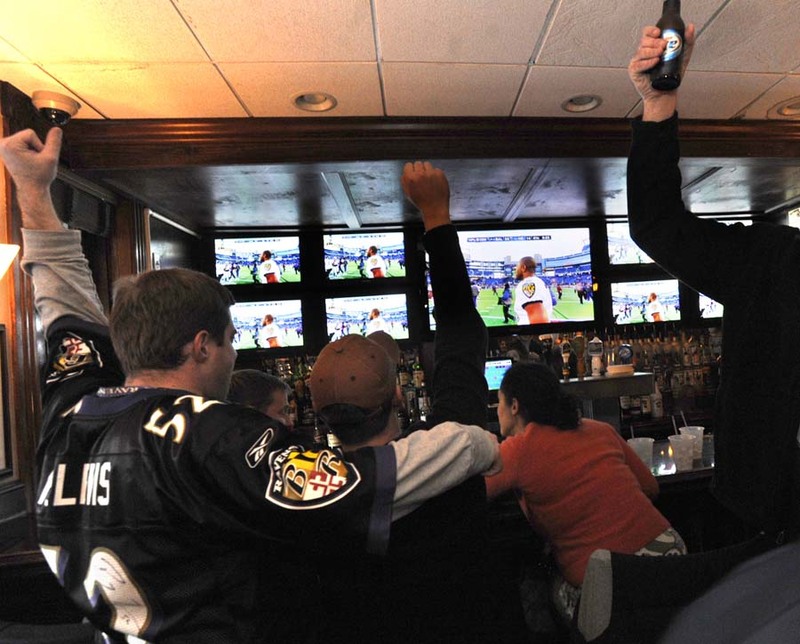 At sports bars, the view of the game probably matters most. 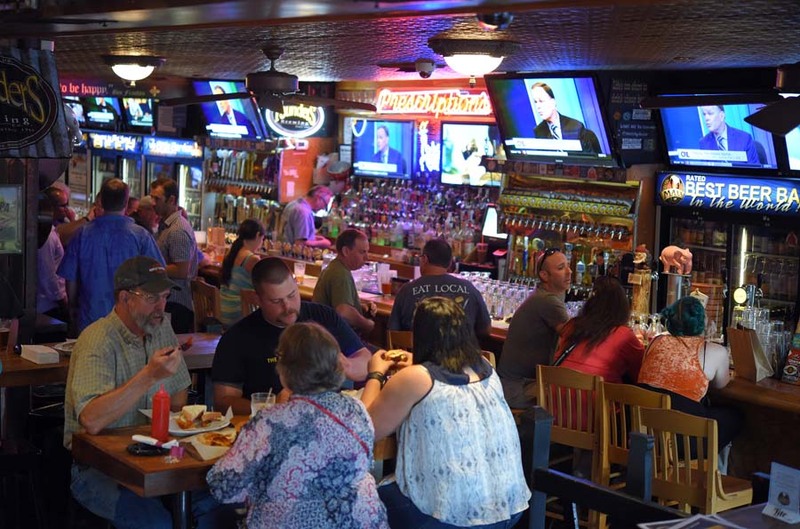 This Canton sports bar offers multiple areas on the first and second floors, all with multiple TVs tuned to the games of the moment. (They’ll change them, too, if you request it.) 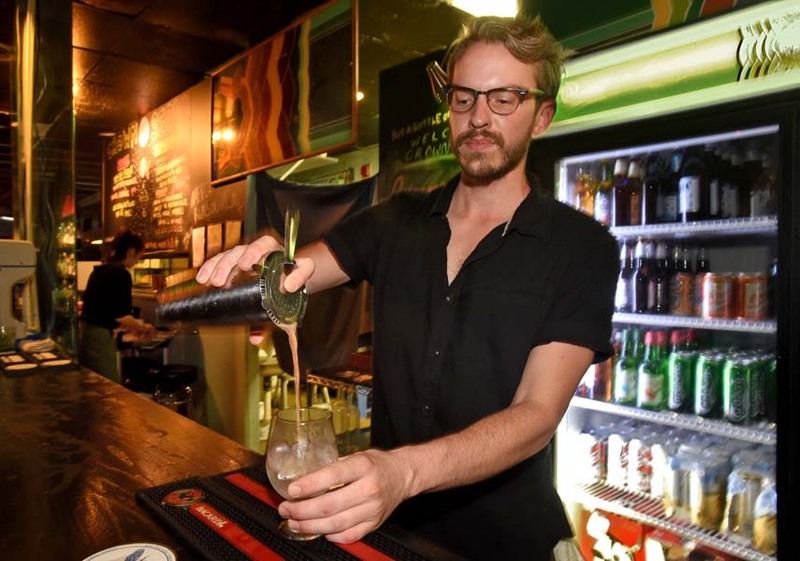 Friendly staff, cheap beer and above-average pub fare complete the experience. 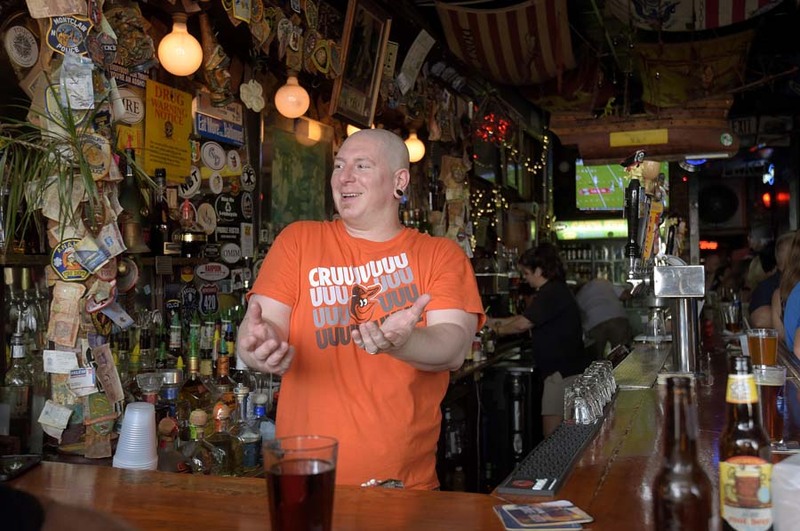 Baltimore is known for the Orioles and Ravens, but it has its fair share of passionate soccer fans, so many make this Fells Point bar their go-to spot to watch the action on the pitch. Aside from the genial atmosphere, it’s because Slainte takes soccer seriously, opening daily at 7 a.m. for fans rising early to watch international games live. 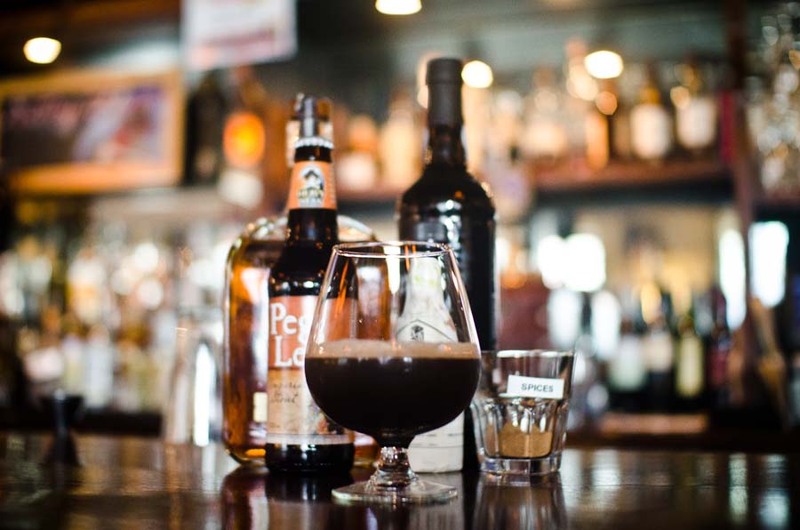 Make sure your beer-minded friends taste Resurrection, one of the city’s most celebrated craft beers, straight from the source at this Midtown-Belvedere brewpub. 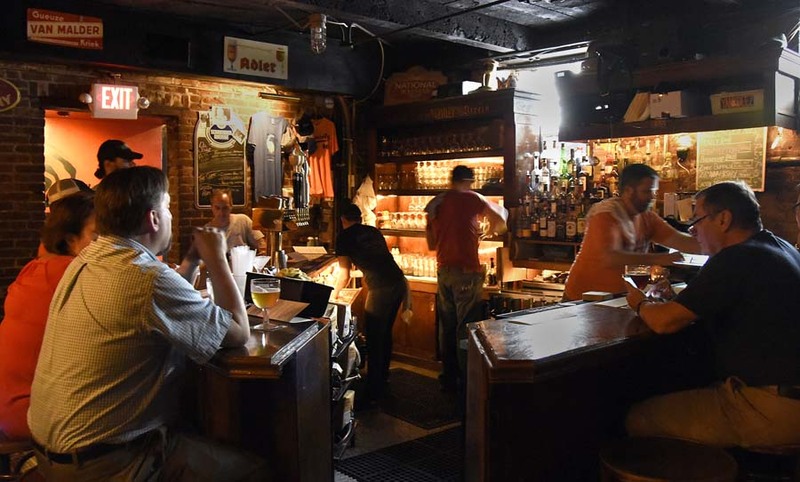 Spend some time exploring the menu of Belgian-style beers downstairs in the cozy basement. 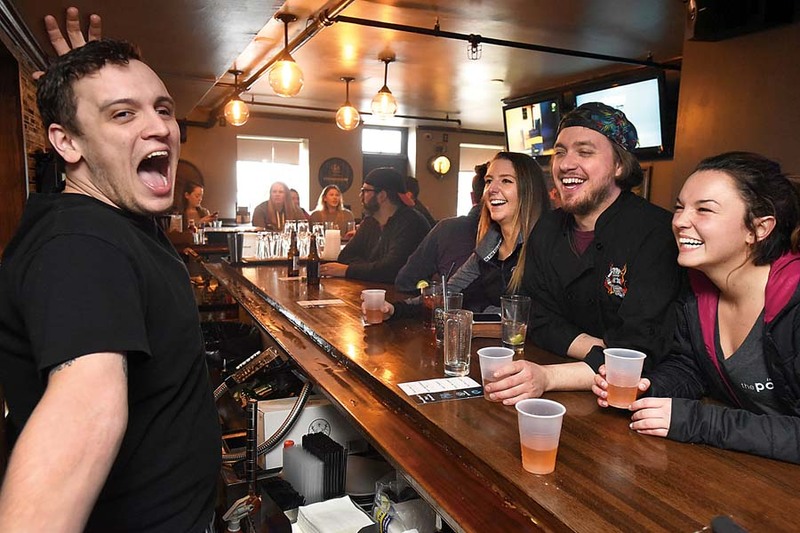 Not only can beer enthusiasts explore a wide range of brews made by Halethorpe’s Heavy Seas Beer at this Little Italy bar and restaurant, they can taste certain styles cask-conditioned, a centuries-old form that cuts down on filtration and carbonation. The result is a noticeably smoother brew that expands the possibilities of what to expect from high-quality beer. 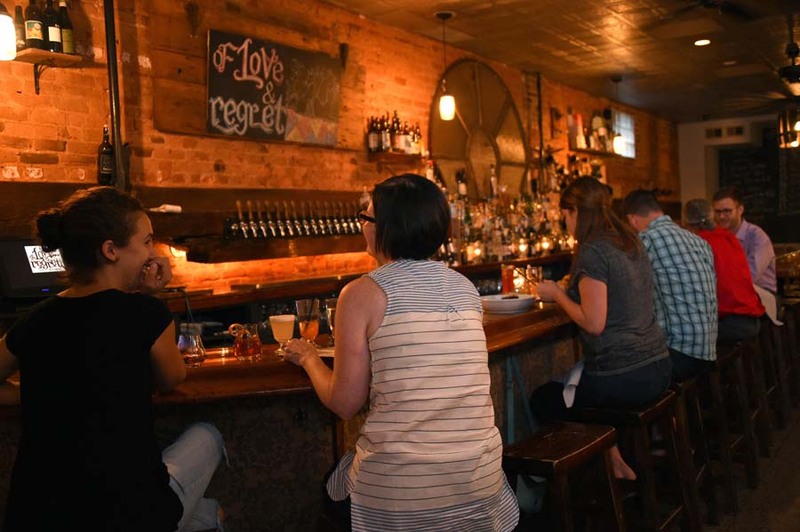 Those in search of esoteric beers should visit this Canton corner bar and restaurant, which mostly features beers made by the excellent Stillwater Artisanal Ales. 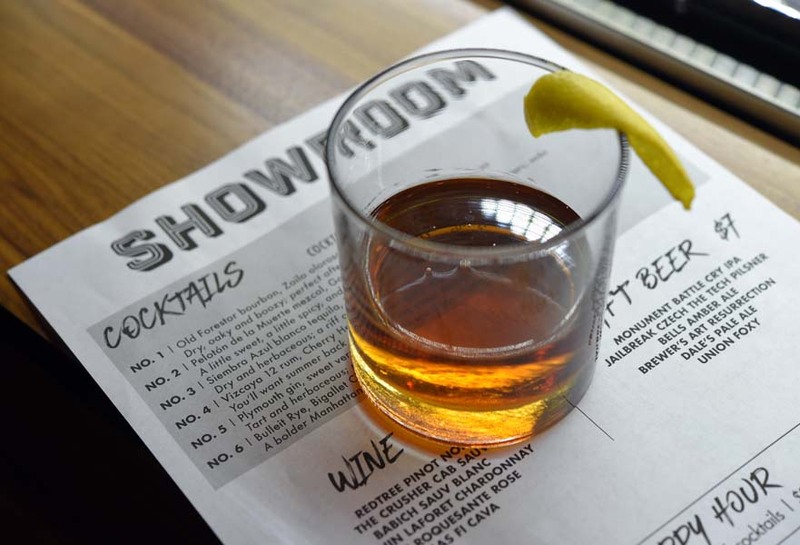 Don’t worry if you don’t get to try every option — the upstairs bottle shop sells beers to go, too. 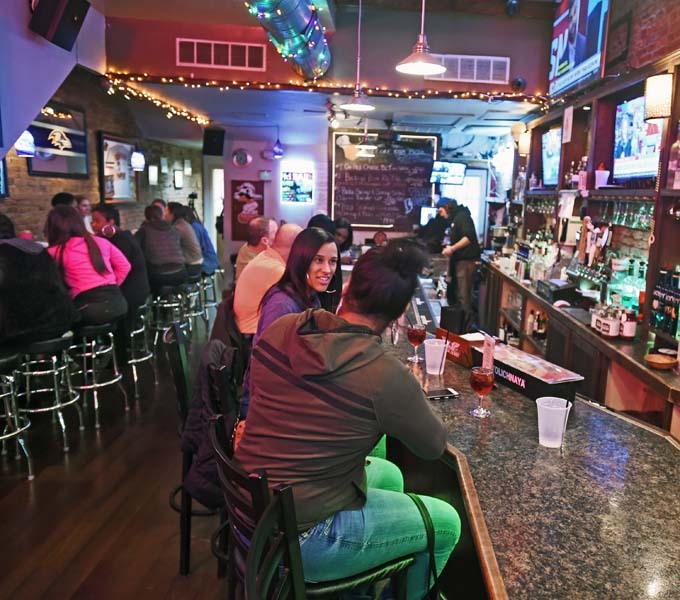 The popular Columbia bar and restaurant boasts an impressive selection of beers, highlighted by multiple options from Manor Hill Brewing, which shares ownership with the eatery. It doesn’t take long for visitors to become regulars, as evidenced by its beer club, members of which receive most brews at half-price. 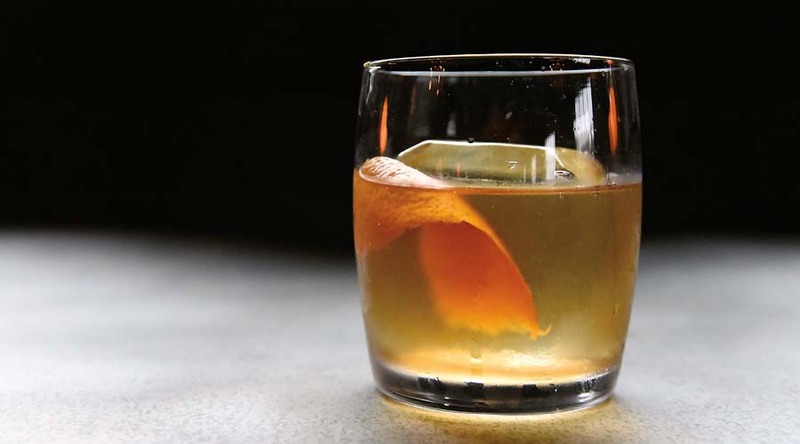 It doesn’t get much swankier than this Harbor East speakeasy-inspired cocktail bar, discreetly located near Tagliata. Cocktails are made with high-end spirits and a theatrical flair in a plush setting that feels equally intimate and romantic. 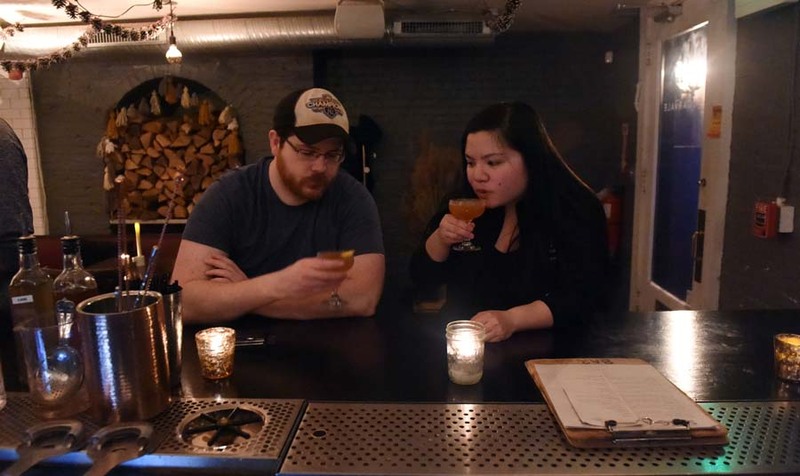 Snag a spot for two at the dimly lit bar of this Italian eatery in South Baltimore. The menu of pizza, pasta and antipasti is easy to share, while the cocktails offer reason to linger after the plates are cleared. 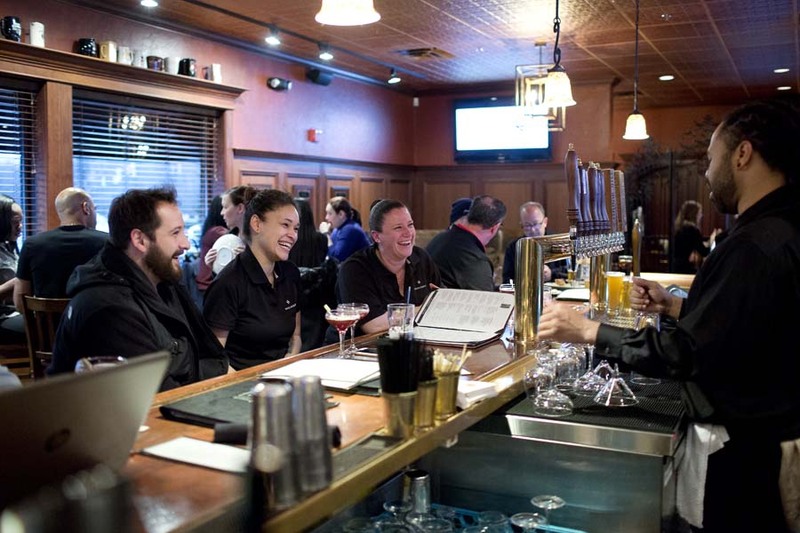 This Mount Vernon basement bar has only 22 seats, but therein lies its modest, winning charm. 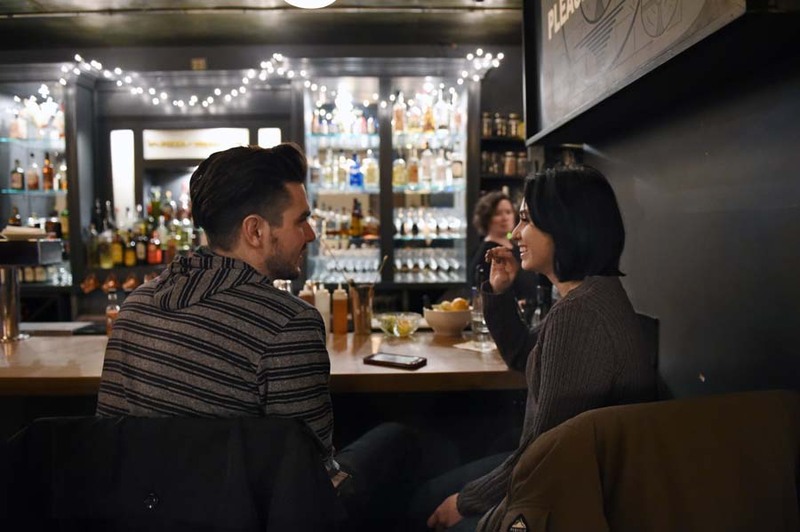 It’s easy to strike up a conversation with a stranger here, but it works just as well as a place to catch your breath over a drink as the bartender plays obscure dance music. Special chess and comedy nights offer a break from the norm, too. The bar inside this Station North artist incubator space feels more like a coffee shop but sells a nice selection of original cocktails, beer and wine. 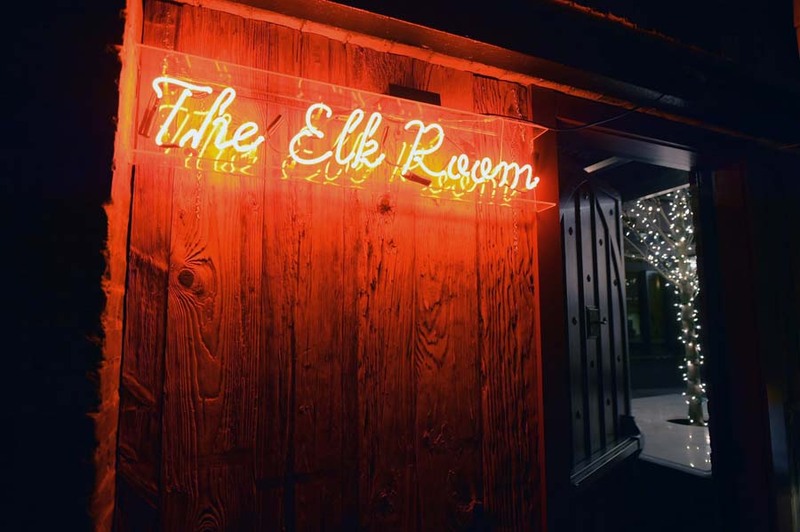 It’s a space where it’s easy to see live music, watch theatrical performances or just soak in the laid-back, art-minded atmosphere. 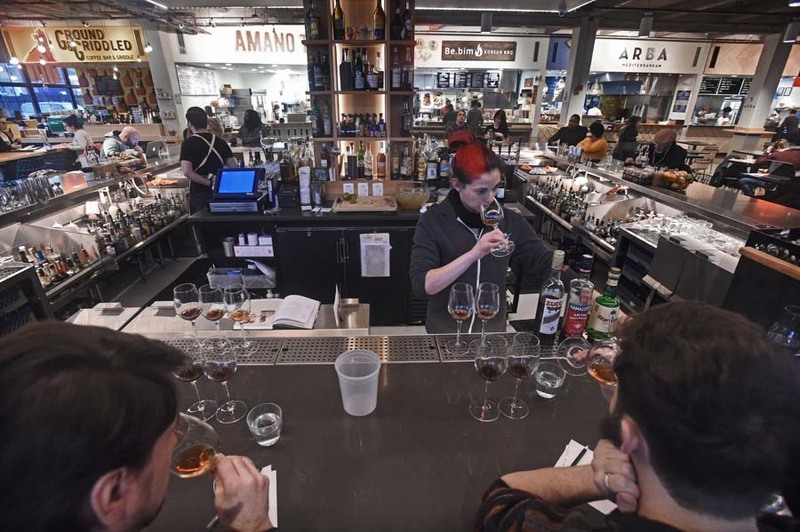 Remington’s R. House carved out a bar space that never truly feels like a bar, given the often-buzzing activity around the food hall. 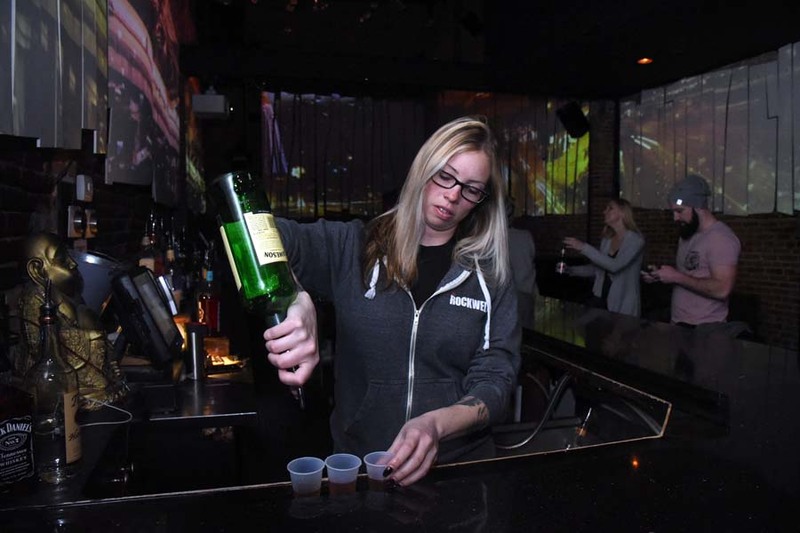 But spend time with the talented bartenders, and it becomes clear that the bar program stands up to the city’s upper echelon of cocktailing.